I wrote Welcome to the Jungle because it’s the book I should have been given when I was diagnosed. Bipolar disorder is one of the most commonly diagnosed psychiatric conditions among teens and twentysomethings, yet there are few books out there written specifically for this demographic. 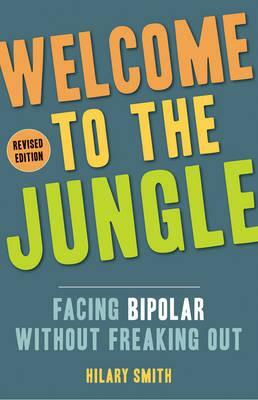 Going bravely where no other bipolar book has gone before Welcome to the Jungle offers devastatingly on-target, honest-and riotously funny-insights into living with bipolar and answers some of the hardest questions facing people newly diagnosed.